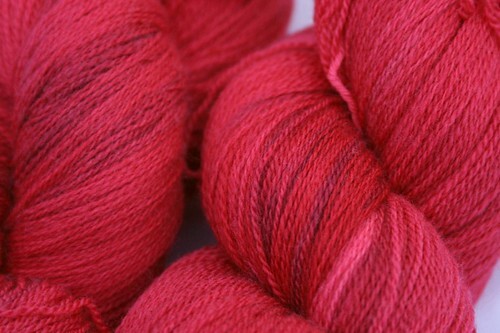 This yarn is in the final stages of dyeing, and a few skeins will start shipping in the next few days. It should definitely be dry and ready for packing by the 15th as expected. 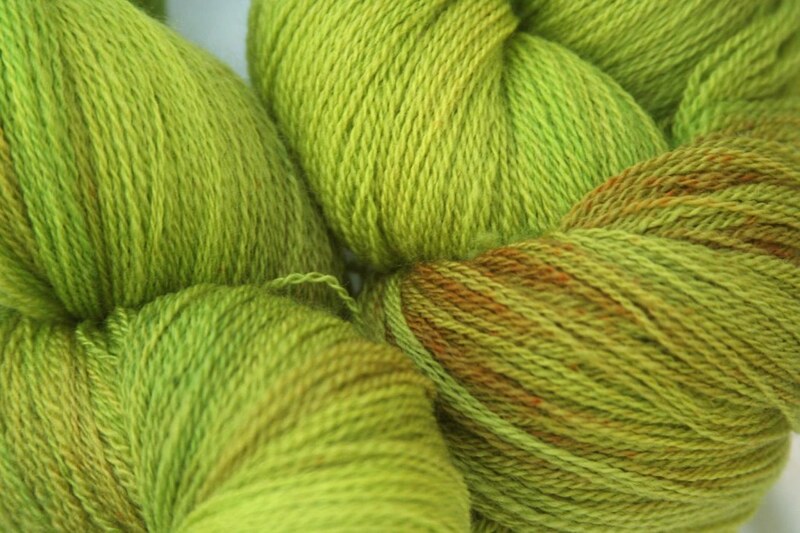 I am pulling together Eucatastrophe reorders now to be dyed in the next few days. Expect invoices for those tonight. You can make a whole sweater with 2 skeins! Middle Earth Club yarn is more than 1/3 done and the kinks are worked out so things are on track to being done within the window promised last week. Looking ahead I'm going to have an undyed inventory problem coming up soon. NOTE: this does not apply to any already paid for yarn. I always have the yarn on hand before taking orders, but I need to place yarn orders in order to keep going in November and December and with medical and other bills that is going to prove difficult. 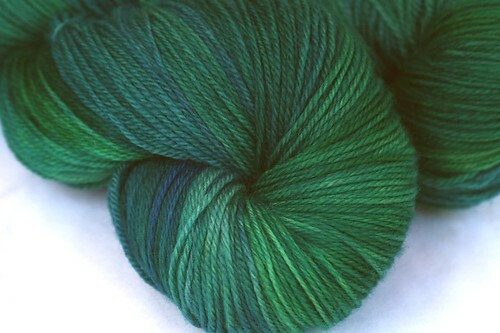 So I am going to put some already dyed yarn in inventory on sale. 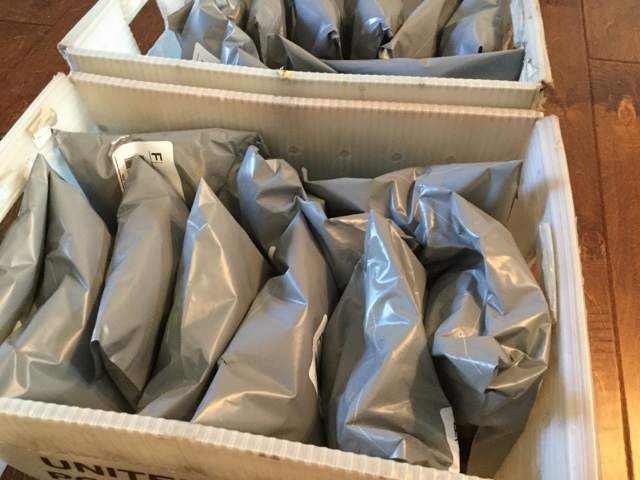 I have help on hand for shipping so this should not impact club orders that have been delayed in any way, it's just to keep us going in the future. I may also do some pattern sales to raise funds. First let me apologize for not sending this information by email sooner. Some of you may have seen on Ravelry that we had a medical emergency. On September 20th a family member was in the ICU out of town for 3 days, and it has taken longer than I expected to recover. Things seem to be going about as well as we could hope at this point, and that's really all I feel comfortable sharing. All orders outside of club orders are completed. I will not be taking custom orders until all clubs are caught up. 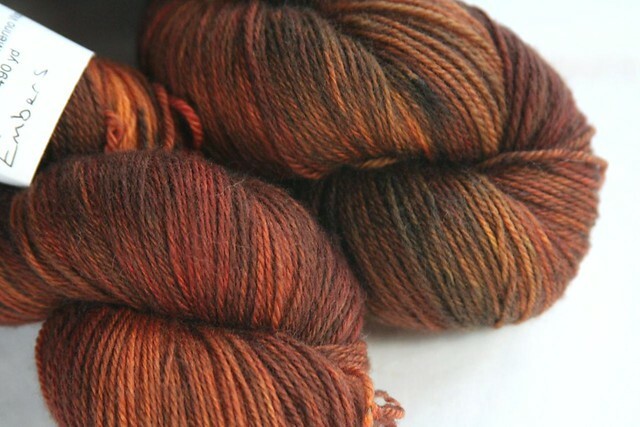 Middle Earth Club yarn is delayed. It was to have been shipped by yesterday. Some yarn that was in progress had to be tossed and started over. I don't want to make a promise I can't keep so I am going to say it should all be shipped by October 15th, although hopefully it will be sooner. Reorders of the previous club color may add 2-3 days. 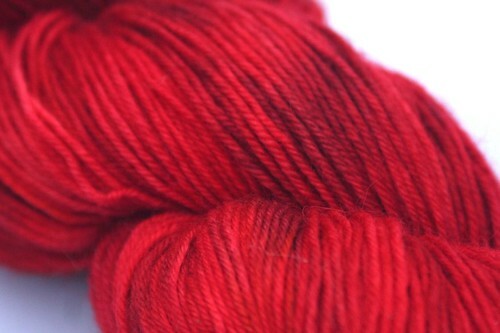 We will not send invoices for reorders until a few days before I am ready to dye them. You are of course free to cancel those orders if you want to. Snowflake Club yarn for October will also probably be delayed. 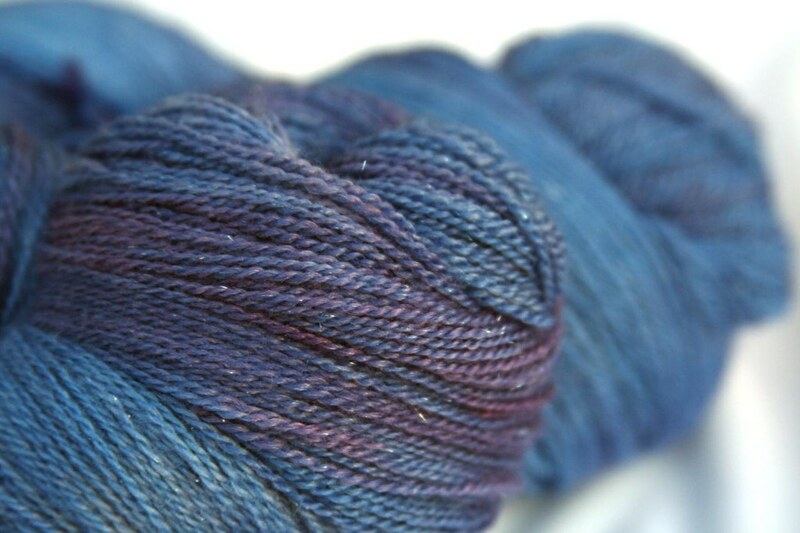 I have samples already dyed but it will take some time to get the choices page made. 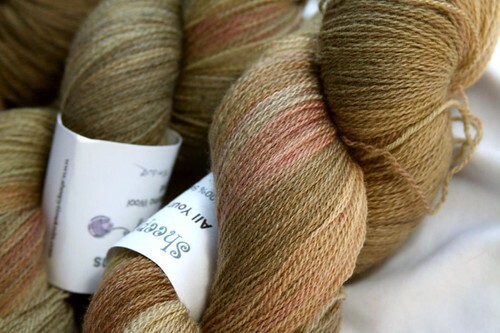 I want to allow at least 2 weeks for voting and 2 weeks for dyeing. Depending on how things go that could delay that club by up to 2 weeks as well, but I should be back on a normal schedule after that. I'm very sorry that this has kept me from being on time this month with your orders, and I will do my best to complete them as soon as I can. I want to be as transparent as possible. 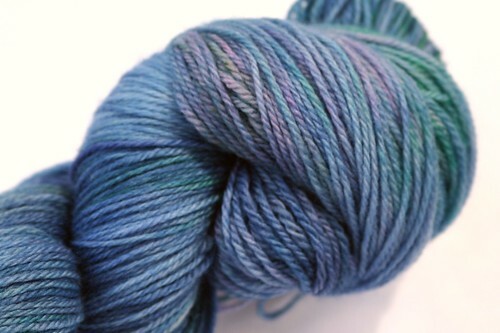 As most of you know I am the only dyer in the business, and I want to make sure everyone gets high quality yarn as soon as I can.If anyone has any questions please don't hesitate to ask. Here's a sweater I finished a long time ago but never got around to blogging. The original pictures I had taken of it were terrible. The pattern is Elphaba by Mary Annarella and it's very well written. Has short row and waist shaping, it's a simple but really well fitting sweater. Yarn is All Your Base South Pacific, and it only took 3 skeins, and not as long as you'd think to knit, either. I've been knitting since the mid 80's (ack! - bad acrylic) and designing almost as long (bad sweaters). My kids keep me really busy and I've got an active business now that keeps me even busier!